The Los Angeles Angels clinched their division Wednesday night, after Oakland blew a 1-0 lead in the 9th. Some fans where still in the stadium waiting to see the outcome of A’s game and it was definitely worth the wait. This is Los Angeles first division title since 2009. The Angels beat the Mariners 5-0 on a great performance from CJ Wilson who only gave up one hit thru 7 innings pitched (that was the only hit in the game). Howie Kendrick started the seventh inning rally by scoring from first when Chris Denorfia misplayed a ball hit by David Freese. The Angels went on to score 5 runs in that inning. 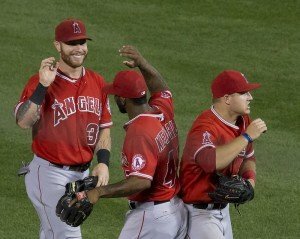 The Angels have the best record in baseball at 95-57 with Baltimore being the only team that has a chance of having a better record then them this season. A few months ago everybody would have laughed at you if you told them that the Angels would win the division this early. 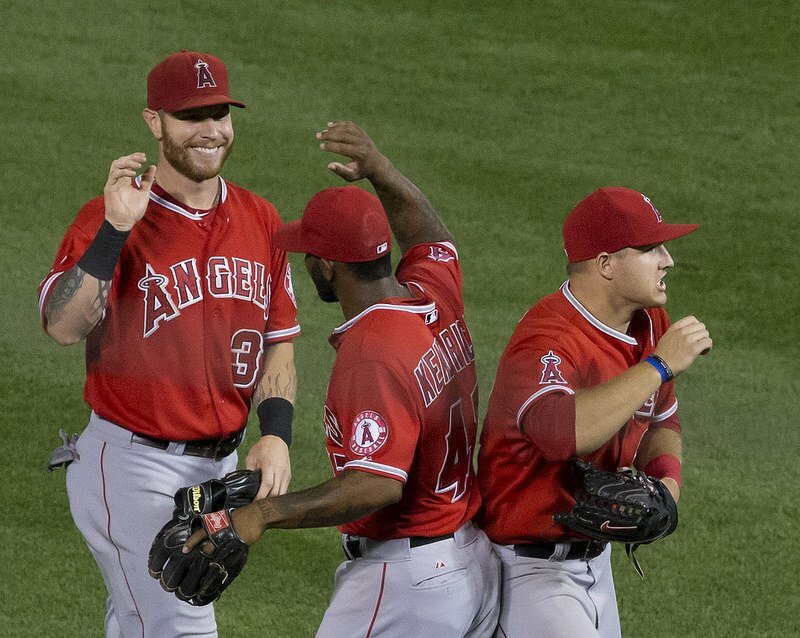 The Angels got hot when the Athletics went in a slump and it has paid off. On August 10 the Angels were four games back of the A’s, the Angels have gone a major league best 27-8 since that date. The Angels are going to be a favorite going into the playoffs. I think they’re the best team going into the playoffs, and if the season ended today I would pick them to win it all, but we still have two more weeks and anything can happen. The AL Central and NL West and Central are still up for grabs. With all three probably coming down to the final few games.